Dry air can cause all kinds of problems for our bodies. Up to 60% of the human body is water. So when the air is dry, we get scratchy eyes, sinus problems, and our skin ages more quickly. 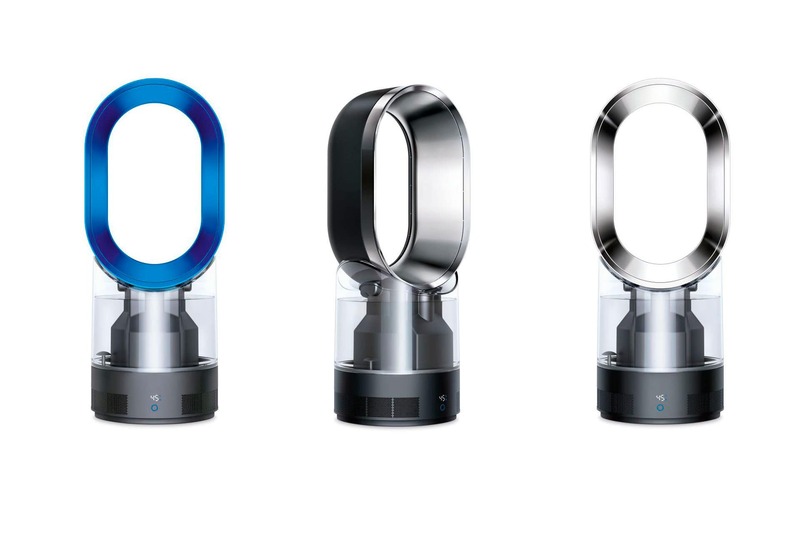 Dyson has come out with the Dyson AM10 Humidifier that does double duty. It humidifies the air to keep the correct humidity in your house and in the summer it is also an air cooler. The Dyson AM10 Humidifier uses Ultraviolet Cleanse technology to eliminate over 99.9% of bacteria and clean the water before it ejects it into the atmosphere. Another benefit to the Dyson is that it measures the temperature and humidity in a room and adjusts itself to keep the optimum of each. According to Popsugar.com, humidifiers help relieve sinusitis, speed up recovery from colds, asthma and allergies by keeping nasal passages lubricated, help prevent nosebleeds, alleviate snoring (think about that one!! ), and moisturize skin. Decades ago, humidifiers were only used when someone was sick. That was one of the old remedies for colds, the flu, and sinus infections. But the old machines could also spread bacteria. This Dyson machine does not do that because it kills the bacteria in the water before it is emitted into the air. And it is quiet. Plus, with the remote control you can set the fan and the amount of humidity you want in your room. The Dyson AM10 Humidifier does require a little maintenance. Cleaning the machine is easy and takes only a few minutes. It is necessary though to keep the unit running at its best and to make sure your air is always the cleanest it can be. The AM10 comes in three color combinations: white and silver, black and nickel, and iron and blue. It’s certified “asthma & allergy friendly” by the Asthma and Allergy Foundation of America. If you have an allergy sufferer in your family, this is a must-have. For adding moisture to your skin and keeping your nasal passages and eyes from drying out, a humidifier is a beneficial product. And the Dyson Company has a history of producing innovative and noteworthy machines. The Dyson AM10 Humidifier is a product I use and highly recommend.